The efficient ZFV vision sensor. 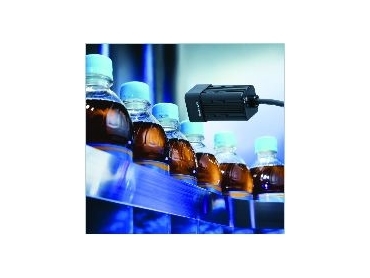 OMRON'S new ZFV vision sensor delivers real-time inspection in a sensor format with simple and quick set-up through an integrated LCD monitor. Optics and illumination are integrated in a single package. It consists of two separate components, a sensor head with an integrated light source and a controller. Equipped with a live colour display, intuitive icon menu and a teach button, the sensor is set up with the minimum of effort in just a few steps. Parameter settings and lighting control are available at the touch of a button. During operation, the display gives direct feedback showing images and results in real time. There is no need to connect an external device for setup and operation viewing. Depending on the application needs, users have the choice of two controller models. The basic controller provides pattern matching/search and the multifunction version is available with five additional inspection tools, including area, edge counting, width measurement, character, defect or position tools. The search tool can even detect rotated objects. There is also a choice of sensor heads with a fixed or adjustable view, both having adjustable lighting to ensure the best possible view of the target area. Protected to IP65, these sensor heads are suitable for use in areas where regular wash-down is necessary. With one controller it is possible to store up to eight different inspections. If one controller is not enough to solve the application, more can be added, connected side-by-side to expand the functionality. Up to five controllers, with or without cameras, can be connected together to perform multiple inspections on a work piece. The addition of an optional data-logging unit allows users to store inspection results locally at the controller. The ZFV vision sensor is excellent for inspection problems too complex for conventional sensors and applications where users need instant inspection without costly installation and training.